As educators, we strive to promote a climate of respect. Bullying behavior is evident on the playground, but it is more difficult to detect and respond to when it takes place online. In addition, students need to recognize cyberbullying. They need to know when the line is crossed and a joke or teasing has gone too far. The first step is to build an awareness of cyberbullying. Next, students should know what they can do and who they can go to for help if they are a victim. Promote a community of responsible digital citizens in the classroom. Cyberbullies are people who threaten another person by using the Internet to post hurtful or embarrassing messages, images, or videos. Cyberbullies can make a person feel scared, worried, or angry. Often a bully will say that the message “was just a joke.” Cyberbullying is NO JOKING MATTER and it is NOT FUNNY. Cyberbullying is illegal. In some countries cyberbullying is a hate crime that can result in a fine or jail time. In other countries, cyberbullying is slander and a lawsuit can be filed against the bully. At some schools, cyberbullying is a reason for expulsion or cause to ban use of Internet at school. Be a responsible digital citizen. Do not be a bully! Do not continue to e-mail someone after they have asked you to stop. Do not post any comments online, using e-mail, chat, or social media sites, which would be hurtful or embarrassing to another person. Do not threaten anyone using e-mail, chat, or social media sites. Do not post or tag a picture of anyone without their consent. Do not share personal information about another person without their consent. What Should You Do if You are a Victim of Cyberbullying? Tell an adult about the bullying. Do not delete the message from the bully. It is evidence. Inform your Internet service provider. They can help find the identity of the bully. If a message contains a death threat or threat to cause bodily harm, contact the police. What Can You Do to Stop Cyberbullying? Cyberbullying can be done using e-mail, instant messaging, bulletin boards, websites, polling booths, and more. E-Mail: Cyberbullies send hateful messages to a person using e-mail. Often the cyberbully will register for a free e-mail account so no one will be able to guess their identity. They may register for an e-mail address that has a threatening tone such as kickname@live.ca. What can you do if you are a victim? Add the e-mail address of the sender to a blocked e-mail list. This will stop new messages from being delivered. It is possible to trace the source of an e-mail. You can contact the Internet service provider of the e-mail account to try to get the company to delete the e-mail address of the cyberbully. Instant Messaging: Cyberbullies send hateful messages to a person using chat software. Often the cyberbully will change their nickname to include a nasty message such as “Name is ugly” or ” I hate name.” Everyone who receives an instant message from the cyberbully will be able to read the mean nickname. What can you do if you are a victim? Add the contact information of the sender to a blocked list. This will stop new messages from being delivered. If the cyberbully is a student, you can contact their parent or teacher to let them know about the abuse. Bulletin Boards: Cyberbullies post hateful messages to a bulletin board that people can read. The messages often include the victim’s telephone number or e-mail address to get other people to abuse the person. What can you do if you are a victim? Contact the manager of the bulletin board. The manager can delete the hateful message and stop the cyberbully from posting any new messages. Websites: Cyberbullies create web pages that have mean pictures or hateful information about another person. What can you do if you are a victim? Most Internet service providers have rules about the content of websites. When cyberbullies create hateful web pages they are breaking the rules. The Internet service provider can request that the bully remove the content on the web page or delete the website. Polling Booths: Cyberbullies post online surveys where people vote for the ugliest, fattest, dumbest boy or girl. What can you do if you are a victim? Polling booths are often part of a service offered by an online social community. Most communities have rules about the content members can post. When cyberbullies create hateful polls they are breaking the rules. The operator of the social community can request that the bully remove the poll or delete their member account. Imposter: Cyberbullies will hack into the victim’s account. As an imposter, they will send fake e-mails or post rude comments. What can you do if you are a victim? Protect your identity. To do this, create a password that is difficult to guess. Do not tell your password to anyone, except your parent or teacher. Always log out when you leave a computer. If someone hacks into your account, change your password right away. For more Internet activities and digital citizenship lessons, see TechnoKids’ technology project TechnoInternet. What do you think about using webcams as part of your curriculum unit? Read each statement. I want my class to learn Internet search skills. My students can’t find any good webcam sites. We have wasted lots of time in the computer lab using webcam sites. If you answered 1, 2, or 3 read on! Use effective keywords to search: Here are some ideas to use as search terms to find webcam sites. Bookmark your favorites! Unable to see webcam: Some web pages place an online form or advertising over top of the camera. You must close the form or ad before you can see the webcam. Use government webcams: Some web pages have too many advertisements. However, government web pages tend to have no advertising. Visit well-known places: Famous museums, national parks, theme parks, and landmarks tend to have quality webcams that work. Use the word “live”: To avoid viewing static pictures use the word live in your search word so that you will only find real-time video. Consider the time of day: Webcams are from around the world. While you are awake, in other parts of the world the people might be asleep. If you view a webcam in the middle of the night, it is likely to be dark or there may not be anything happening. Be patient: You might be viewing a webcam from very far away. It can take time for the webcam to load on the web page. Webcam time limits: Some websites restrict the amount of time you can watch the webcam feed. Some will force you to refresh the page before it can be viewed again. Are you looking for lesson plans? 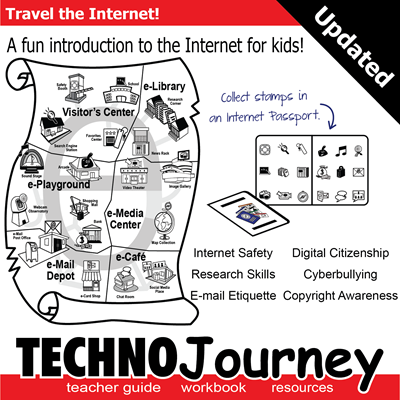 TechnoInternet teaches students how to explore the Internet safely. 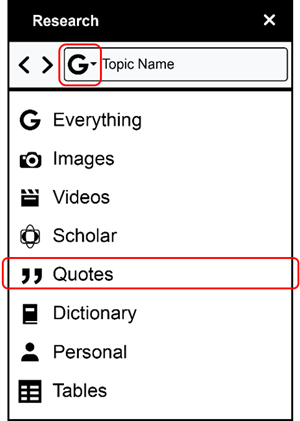 Have your students pin markers on their Internet map as they journey online. Learn digital citizenship, Internet safety, search strategies, research skills, and more. 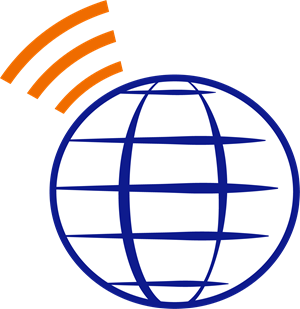 Read more about TechnoInternet, see sample lessons, learning objectives, and teacher reviews here.